Kyle Kelly is the co-owner and head chef of The Cajun Connoisseur. He's a self-taught Cajun chef starting out his second winter in the “deliciousness business” of Chicago’s food truck scene. With his crew of family on board, Kelly serves grits, jambalaya and po'boys, makes plans for his brick-and-mortar restaurant, and offers opportunities to young people from his Englewood neighborhood. 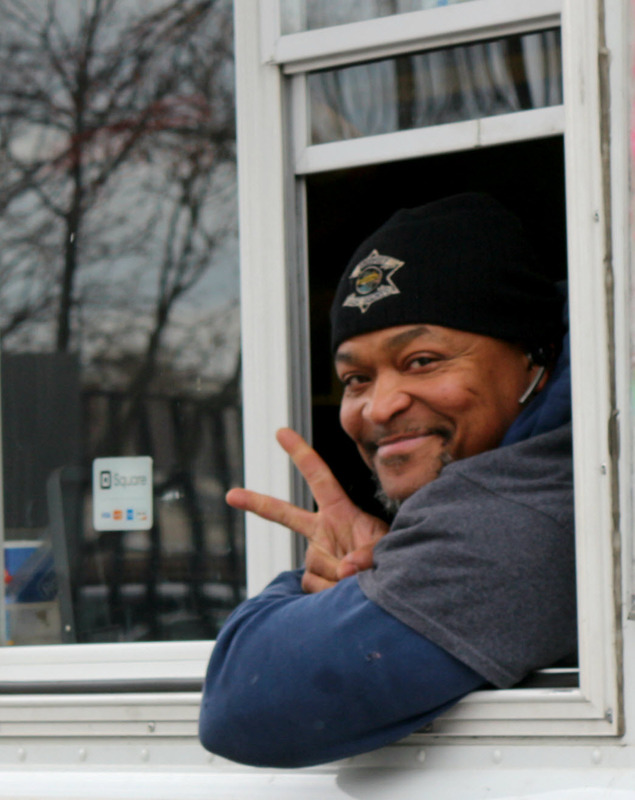 But his mantra of good food and forgiveness can't prevent gun violence from touching his business and his life. This story was produced as part of new collaboration between CHIRP Radio and City Bureau, a Chicago journalism lab. City Bureau reporter Sarah Conway worked with CHIRP producer Dan Epstein to create this day-in-the life radio portrait as part of City Bureau's fall 2016 cycle on Englewood's food desert. Share January 5, 2017 • http://chrp.at/1pqG • Share on Facebook • Tweet This!